What Are Your Real Retirement Costs? A major element of the retirement planning process is calculating the amount of money you need to save in order to live the way you want to during retirement. As you're calculating your retirement savings goal, consider all of the potential expenses you may encounter after you retire. The more expenses you forget to include, the less reliable your planning will be. 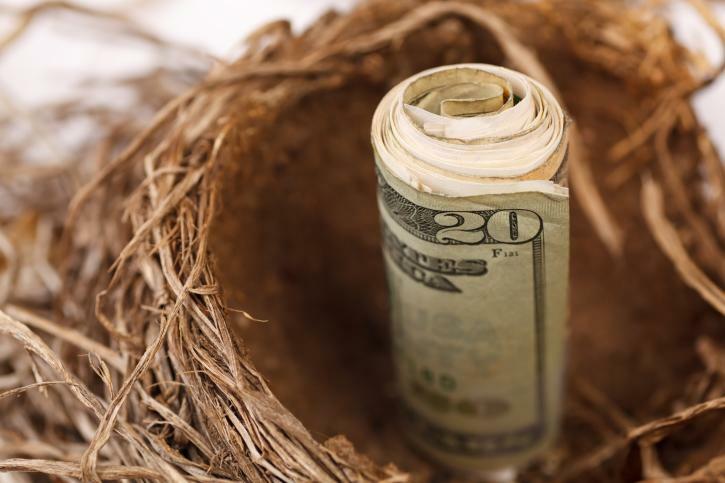 Here are five important yet often-overlooked retirement costs that you'll want to consider. Right now, you may be covered by a health care plan through your employer--many people are. However, most employers don't continue to carry health care coverage for retired employees. So if you're planning to retire prior to Medicare's current coverage age of 65, you definitely need to have a plan in place to pay for other coverage. If you're in your 20s, 30s, or even 40s now, there's every possibility your Medicare coverage age will be higher than 65. Plus, even people with Medicare and other health insurance coverage face out-of-pocket medical expenses. And don't forget long-term care. There are health conditions related to aging that aren't covered by health insurance. If you require some form of long-term care to assist you with these health problems, you'll either need to pay out of pocket or have a long-term care insurance policy. Don't be caught off guard when such costs arise. Make your plans and budget accordingly. A lot of people assume that retiring with a fully paid-off house and car means they'll be free of housing and transportation expenses. That's probably incorrect. If you retire at age 65 or 70, you could live 20 or 30 years or more beyond retirement-- - and you won't be the only one aging. Houses and cars will require repairs sometime along the way. Think roof, water heater, air conditioner, transmission, suspension, and fan belt, for starters, and you'll have a more realistic expectation of what your housing and transportation expenses may be. Once you're retired, you'll finally have the time to do the things you want to do. But that can be an expensive proposition. So you have to consider the ways you may want to spend time during retirement--such as hobbies--and arrange your budget so you'll be able to afford it. Some traditionally popular retirement pastimes are downright expensive, like travel, golf, and photography. Others could be cheaper but still may require an initial outlay for supplies and/or lessons. It's difficult to predict what may interest you in 10, 20, 30, or 40 years, let alone what you'll physically be able to do. One way to ensure you'll be able to afford at least one hobby is to plan for an expensive pursuit --- like golf, sailing or travel--and use it as a means of figuring your potential expenses. You may never swing a golf club or sail a boat, but you'll have a robust budget ready when it's time to identify and pursue your passion. Different savings vehicles can be subject to different levels of taxation when it comes time to start spending your savings. For example, Roth 401(k) contributions (which aren't subject to retirement-time income tax or capital gains taxation) could provide a drastically different net income compared to traditional 401(k) contributions (which will be subject to ordinary income tax) or a standard investment account (which will be subject to capital gains taxation). Don't just come up with a number. Come up with an after- tax number. That will help you better approximate the gross savings you'll need in order to reach your net requirements. Inflation is one of the great threats to any long-term savings plan. If you're 30 years old and planning for retirement, you can't simply base your retirement needs on your current needs. It will take vastly more money in 40 years than it does now to buy the things you currently buy. And you can't just think about inflation between now and the day you retire. You also have to think about inflation between the day you retire, perhaps at 70, and the day you're treating your great grandchildren to ice cream at 80 and the day you buy a new television at 90. To get a feel for what inflation can look like, imagine you started planning for retirement in 1980 based on the assumption that you'd need $350,000 to retire in 2013. Now it's 2013, and you've saved $350,000. Can you retire? Well, because of inflation, it will take $1,000,000 in 2013 to buy what $350,000 would have bought in 1980. So you can only retire in 2013 if your original goal took inflation into account--or else you'll really need to lower your retirement expectations. You work hard to save enough money for a comfortable retirement. Don't let these commonly overlooked retirement costs sabotage your plans. When you take these expenses into consideration and plan accordingly, you'll be much better prepared to truly enjoy your retirement years. Scott Holsopple is the president of Smart401k, offering easy-to-use, cost-effective 401(k) advice and solutions for the everyday investor. His advice has been featured on various news outlets, including FOX Business, USA Today and The Wall Street Journal.